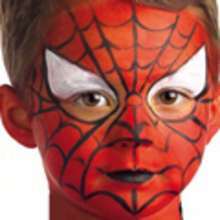 Spiderman is one of the famous Marvel Comics superhero. Peter Parker, an orphan, being raised by Aunt May and Uncle Ben. As a teenager Peter Parker is bit by a spider and then begins to develop superhero strengths. Peter discovers his powers can help protect the public and comes up with a secret identity that reflects his spider like characteristics, thus becoming Spider-Man. Hellokids.com has a unique sci-fi collection of free Spiderman coloring pages you can color online with the interactive coloring machine or print to decorate at home. 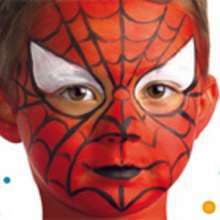 There are Spider-Man drawings, Step by step face painting instructions, puzzles, movie trailers and other fun activities. Check out all Marvel comic superhero characters: Guardians of the Galaxy, Superman, the Hulk, Iron man, Fantastic Four and Xmen. Enjoy!